Spring is coming, and seasonal fruit is about to ripen... what better opportunity to purchase a beautiful serving dish? Today we describe a product by Villeroy and Boch, a beautiful platter for serving fruit. To be precise, it's a dessert plate used for multiple purposes: it is made of Premium Bone china, meaning the highest-level porcelain for the production of which only the best raw materials are used, processed through the most advanced methods, highly designed and suitable for everyday use. One of the essential characteristics of this type of porcelain is its brilliance that doesn't fade with washing and over time. 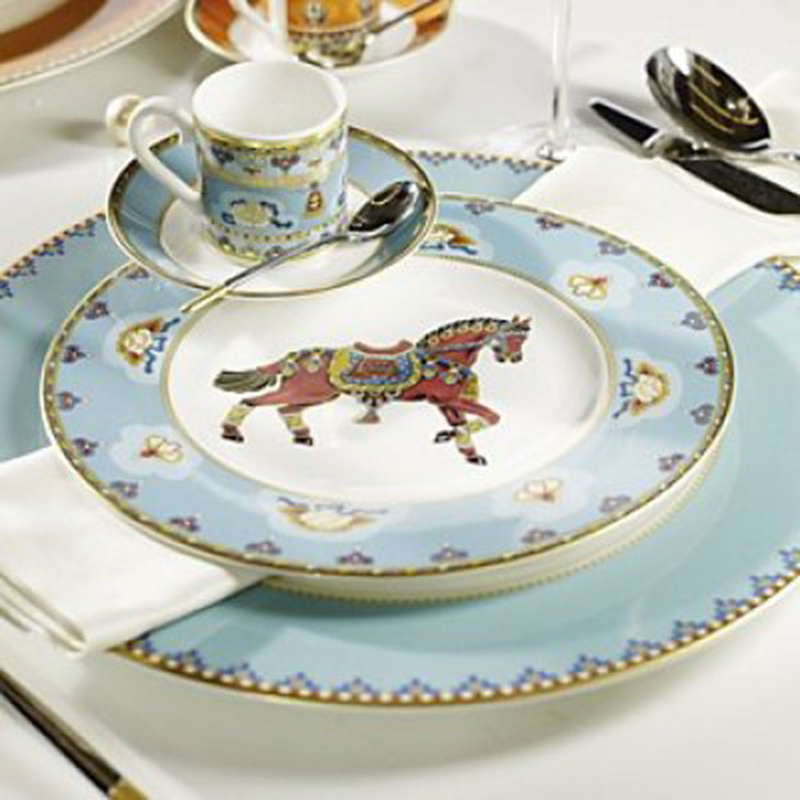 The Premium Bone china will never lose its brilliance and its typical gleaming white. This type of porcelain is particularly resistant and so it's suitable for the microwave and the dishwasher, because the main goal of the manufacturer was to create a beautiful product easy to use. It's an absolutely identifiable product, since on the back it's imprinted the company logo to avoid any misunderstanding on production and provenance. 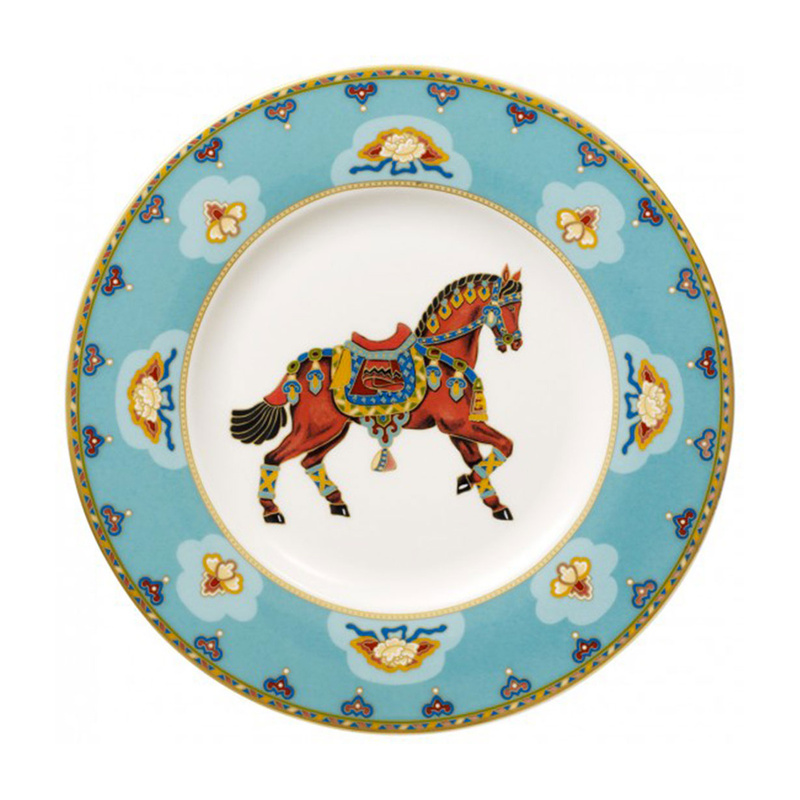 The dish has a diameter of 22 cm and it's tastefully decorated: in the center there is a beautiful decoration with the image of a horse richly decorated. It's a piece of great elegance and sophistication that can not lack in our kitchen. Its weight is of 336 grams, and it is a very versatile object which can be used in different ways to serve cakes or fruit, since it easily matches different sets. Thanks to the presence of different colours ranging from blue to orange, it is easy to match this plate with any other else among those you already have at home. It can be used for gala dinners but also in a more informal dinner or lunch with friends, thanks to its cheerfulness and freshness of colours and shapes.